FitFusion is an online streaming workout site that has SO MANY fab workout options from instructors we know & love. 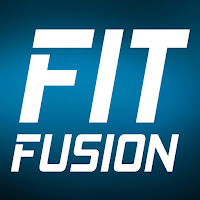 FitFusion gives you JNL Fusion, Jillian Michaels, Mike Donavanik, Jennifer Galardi, Ilyse Baker, Andrea Orbeck, Zuska Light, Viveca Jensen, and SO MANY more! They offer strength workouts, cardio, cycling, ballet, yoga, pilates, dance and MORE! Seriously this is variety wider than my own DVD collection- which you know is vast. Best yet, they have offerings you cant even get on DVD! This is a 2 part series, Buns & Bellies and 3 Minute Rounds. Basheera works out in a nice brick studio with 2 & 3 background exercisers, one showing easier modifications. You wont need any equipment for Buns & Bellies & just a set of dumbbells for 3 Min Rounds. Each routine contains a warm up & cool down/ stretch. Buns & Bellies: (23 min) You will alternate floor lower body & core work. Exercises include bridge raises & pulses, oblique crunches, closed stance bridge hip drops, bicycle, side lying leg raises, side lying kick back variations, donkey kicks, and fire hydrants in table. 3 Minute Rounds: (19 min) You will perform 4 rounds of 1 min strength combo work, one min kickboxing, and one minute of cardio. Exercises include squat & curl, jacks, punch & knee combo, lunge & overhead press, knee & side kick, plank jacks, gorilla walk, punch & kick combo, Mt climber, pike to push ups, and floor touch & kick. I rate these intermediate routines. It was great seeing Basheera as a lead, I have seen her as a background exerciser so it was nice working out with her as an instructor this time! She provides great form pointers and motivation. She provides some nice little breaks between exercises. B&B is is a solid floor routine that is perfect to add to a standing routine for a tough lower body day and I used 3 min rounds for a fun cardio routine. I received this workout to review.